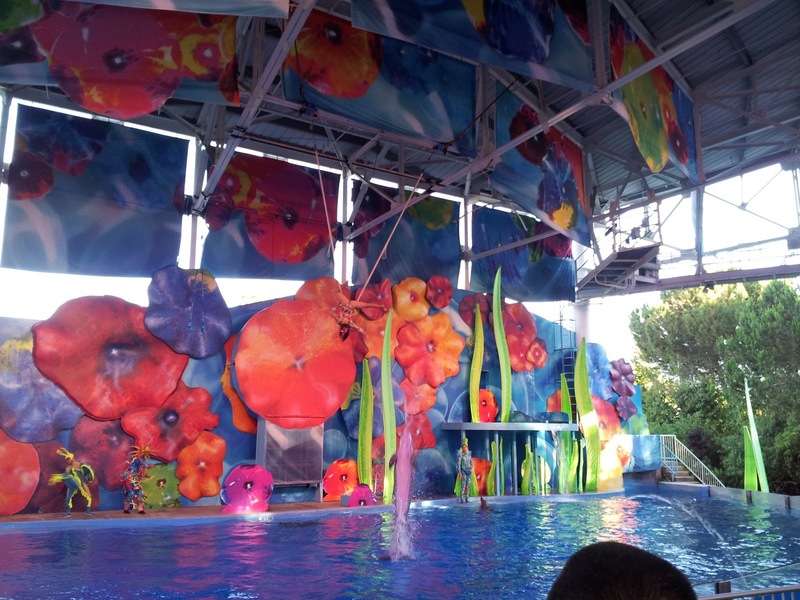 Six Flags Discovery Kingdom Cirque Dreams Splashtastic Show and More! 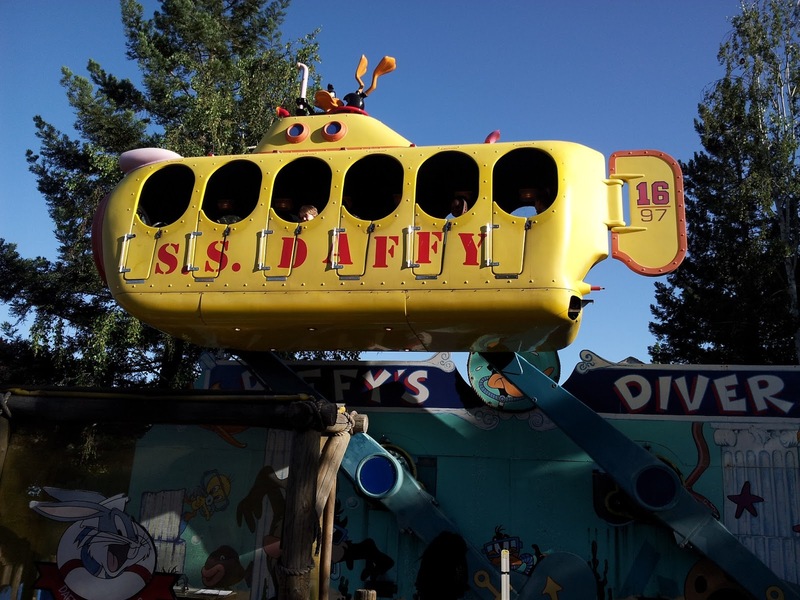 Six Flags Discovery Kingdom is our favorite place in Northern CA to visit. It has all the things that make an amusement park fun, rides, animal shows, good food and a friendly staff. The main thing we are looking forward to for our trip is the new Dolphin Show Cirque Dreams Splashtastic. I was very excited to see the new show in the dolphin arena. I read about the show less than a month ago and have been waiting to see it. It is created by a Broadway Director and the creator of Cirque Dreams. The cast of the show are from 9 countries to create a well rounded and entertaining show. The show was great! The costume and set design were very colorful and entertaining. The aerial acrobatics were amazing, there was a woman on a high rope swing and woman doing super cool hula hoop tricks. The was a set of men that were doing feats of strength! It was neat to see how strong they were. There was a balancing act that was neat to see but when on a bit too long. My son was losing interest and asked where the dolphins were. It was a great show, a nice addition to the park. I only wish there was more dolphin action. We sat too close to the speakers and did get a bit blasted by the music, next time we will sit higher up. It was fun to see, I am glad we took the time to see it. My son LOVES animals so each time we saw one, he would ask for another one. We saw sting rays, seals, walruses, penguins and sharks! One show we have not been able to see is the Elephant show. There are so many cool shows if you plan your day right you can see many of them. My son always asks about it and this time we set our phone alarm to make sure we saw it. 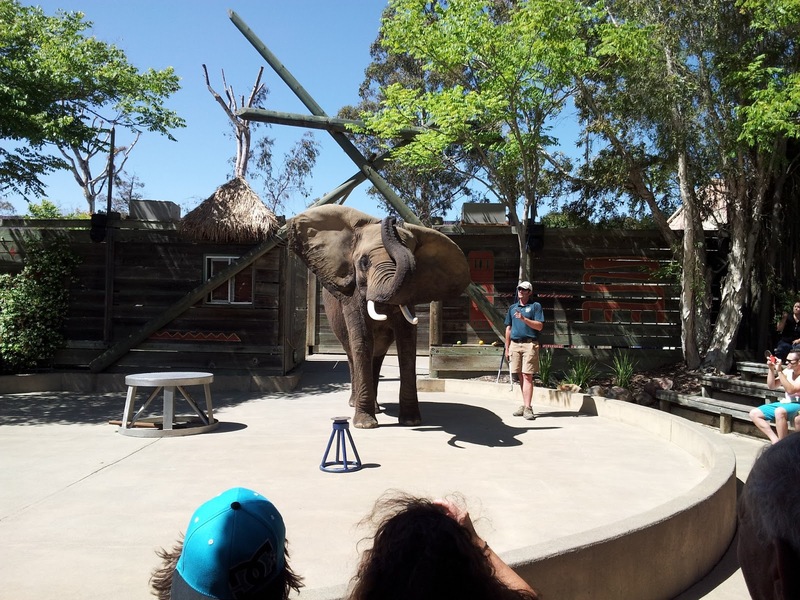 Before the show we were able to see the trainers give the elephant a bath, we were so close to the elephant it was amazing! Of course one of the cool parts of an amusement park is the RIDES! We stick to the kid rides as my husband and I are not thrill ride kinda people lol. We had a WONDERFUL time at Six Flags Discovery Kingdom. I love going several times a year since they are constantly having theme days and new events. We feel lucky to live close enough for a day trip to a Six Flags park. Its family friendly and we always have a great time having fun. This time I took my mother in law with us. She has never been to the park and was amazed at how much there was to do there. She rode many of the kid rides and even got on a horse on the merry go round. She said she had not been on a merry go round since my husband was a little kid. 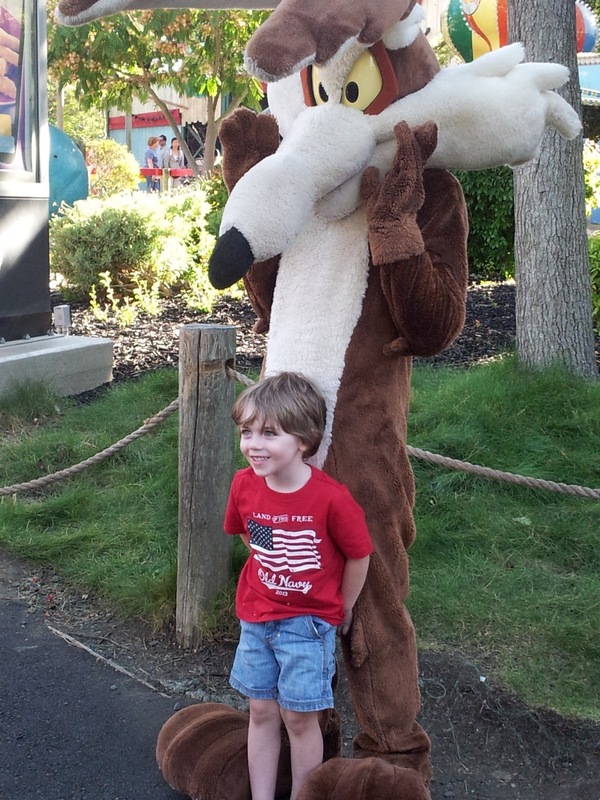 I love that at Six Flags even Grandma can become a kid again! 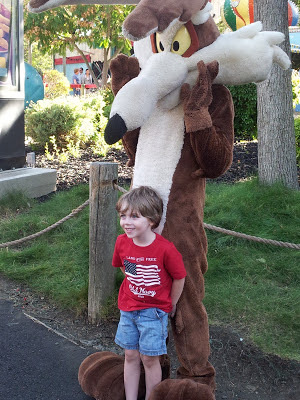 Anytime my son spots one of the Looney Toon characters we must stop to talk to them, give them a hug and take a picture. So cute! *This is not a paid post. We were guest of Six Flags Discovery Kingdom for the day. looks like a blast! 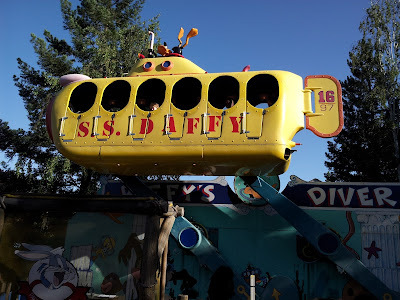 we have a six flags great escape near me the kids love it!